In case you were doubting whether this is just venal election-year politics, the Prime Minister tweeted this image last night. Really. I think we need to start a moral panic against the menace of urgency abuse. Will nobody think about the politicians! Oh, and all the other places where animals are used for testing and research. Note that the largest users are commercial organisations. About six weeks ago I sat in on a council committee meeting, where they were considering a Local Approved Products Policy. They were scared, confused, and desperate for information about the safety and effects of these products. There’s a lot of blame to be shared around for this failure, but the brakes could have been put on a runaway train of fear and anxiety at many points. But they weren’t, and so it got to the point where it was causing serious political damage to the government. What happened then was inevitable. But they weren't, and so it got to the point where it was causing serious political damage to the government. What happened then was inevitable. Labour supported the bill. Labour MP for Palmerston North, Iain Lees-Galloway told Parliament he is glad the Government "buckled to public pressure". Yes, Ian. The Government buckled with terrible legislation that should at the very least have received proper scrutiny and debate, but didn't because it was just too politically inconvenient for any of you nitwits. And in the end, as others have fisked much better than I ever could, Parliament is busy patting itself on the back for creating more and worse problems than they dubiously solved. I had been sceptical that the PSA might have been newer version of Jim Anderton's novel Schedule D in the Misuse of Drugs Act in the '00s. Both were rushed and may have been set up to fail. Keep whacking those moles, Parliament. Kathryn Ryan did an interview with Dr Tom Flewett, head of Addiction Services at Capital and Coast District Health Board this morning. Interesting discussion. I didn't know that natural cannabis has anti-psychotic properties (that the synthetics appear to lack). Interesting discussion. I didn’t know that natural cannabis has anti-psychotic properties (that the synthetics appear to lack). Yes. Notably in the form of cannabidiol (CBD). In Washington State, they're regulating a minimum content of CBD. In Colorado, the market is demanding it. It depends on the proportion of CBD (mellowing) vs THC (hallucinogenic). Some strains are naturally a bit higher in CBD, and some more are being bred to enhance it, to position them for medical use. Not a very well-studied substance yet. Oh imagine if policy was based on evidence. Get a study evaluating the harm and make a decision based on that even if the cut off is somewhat arbitrary. The lancet published a evaluations a while back as referenced in this article, so maybe something like that would help. http://transform-drugs.blogspot.co.nz/2007/03/lancet-and-drug-harms-missing-bigger.html . I did for a while hope that the legislation might be a step in the right direction, not any more it seems. I'm thinking I have to do a Judith Collins and hop off Twitter for a while. So angry right now. Wholly sheet. I guess that confirms his stance on the issue. "set up to fail" springs to mind. Police should hold off prosecuting people for possession of psychoactive products for the next six months, the New Zealand Drug Foundation urged today. 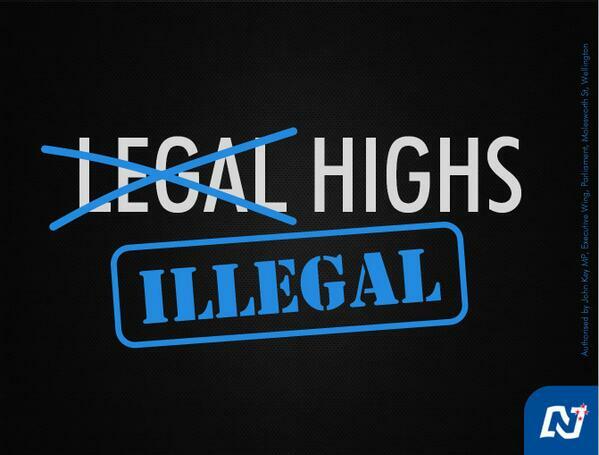 Last night Parliament voted to amend the Psychoactive Substances Act to remove all products from sale from Thursday. “We’re calling on the Police to press pause on their enforcement of possession of psychoactive products for the next six months,” said Drug Foundation Executive Director Ross Bell. “One of the biggest barriers for people asking for help for themselves or others and getting into treatment is the fear of getting busted. “A period where that barrier of fear is removed will allow people who need help to seek it. Mr Bell said there is precedent for not prosecuting people for possession offences immediately after a product ban. “When BZP was reclassified as a Class C drug in 2008, there was a six month grace period where police did not chase people for possession,” Mr Bell said. “This worked well to allow people the space and time to figure out where and how to get help. “The Government could further aide people looking for help by running a promotion campaign for the Alcohol and Drug Helpline. The opposition to animal testing isn't just coming from politicians and animal activists. The president of the National Animal Ethics Advisory Committee is on record saying she'd personally prefer a total ban to animal testing of synthetic cannabis. The level of animal testing needed to prove low risk isn't insignificant. A toxicologist told N2N yesterday it would probably require three different species of animals (probably rats, rabbits and dogs) and involve high doses being given over a period of months, including to pregnant animals. Oh I should have pointed out: NAEAC is the official watchdog for animal testing. It strikes me as ludicrous that this government that is usually obsessively focused on decreasing restrictions on business can justify changing this law in the name of addiction prevention or any effort to reduce harm when they continue to allow alcohol, tobacco and codeine to be freely available. In November 2009 Medsafe classified Ibogaine as a prescription medicine which is indicated for the treatment of drug dependency. Ibogaine has an outstanding track record with treating opiate addiction physically and mentally and there are strong indications that it works at a psychological level to treat other addictions. Almost unbelievably Ibogaine was approved under a National Government. We can only hope they don’t do an about-face given their current approach. Oh imagine if policy was based on evidence. It does feel like politicians (of all colours) strongly dislike evidence when making decisions - far better to use poll results. Depressed by this - may have to go and do a science. You may want to think that. I prefer the idea that it's about the state wanting total control over what its subjects put in "their" bodies. I've noticed the amount of government information that's been supplied about the risks of taking legal and illegal drugs. Stuff like this? As in, none at all. I'm hoping Cosmic will start stocking a range of glassware and reagents (not to mention fume hoods) for those taking the DIY option. For the purposes of scientific study and enquiry of course, not for making anything psychoactive. Also, I'd imagine that if you stick a suitable sidechain onto a psychoactive molecule, it would stop being psychoactive. And if that sidechain is easily cleaved off again, that's just chemistry. Went to the lecture by the Fabian Society last night... A R D Fairburn revisited, his 1940's deep ecology visions/sentiments...but Denys Truffell began proceedings reminding the audience of what Rex Fairburn thought of his fellow flightless birds...the description of the dim witted, anti intellectual, passionless folks seemed just as apt today...but I digress. It's quite a contrast on how different white powders are being treated in this economic climate....ya got ya melk powder infiltrating the Chinese boarder...and the Chinese have had to clean up on the supply front ,,,,guess what---- by banning certain brands...but luckily Oravida is okay...with it's white powder for chinese infants...and how about MFAT...almost as useless as Health...as white powder sits in ships and docks with a return to SUPPLIER notice....banned products aye!